Maxi-Peel has always been one of the leaders in the skin care industry and the it has continue to innovate and improve its care line for its loyal customers. Maxi-Peel has been helpful to a lot of people especially Filipinas with pimple and acne problems. This year, Maxi-Peel is making a big leap this time. Instead of just concentrating on beauty advertisement that features real women who have successfully tried Maxi-Peel, the brand is doing it differently this year. We all know how powerful the digital age is, especially with today's technology, and Maxi-Peel feels the need to give its loyal not just a true-to-life story but the country's first ever Tunay Serye. This is a web-based reality show featuring- Jeff and her journey towards Bagong Ganda, Bagong Pag-asa. Like most teenagers, and maybe some adults, Jeff suffers from pimples and acne. She also confessed that when her breakouts becomes uncontrollable, her self-confidence also suffered. 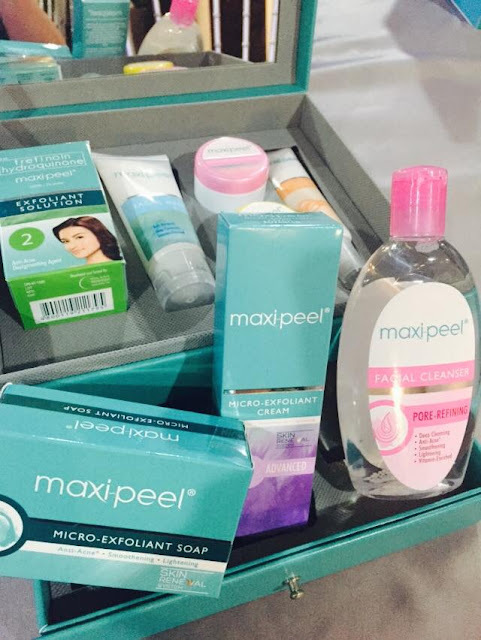 Maxi-Peel comes to the rescue with a campaign that sets its spotlight on Jeff, and her real-life battle with acne and pimples, and challenged her to use Maxi-Peel products to help her achieve a better skin. Jeff is not just a regular 20 yr old college graduate, she also dreams of being in the movie and tv industry. This talented girl faces the challenge of not achieving her goals because of her skin problems. 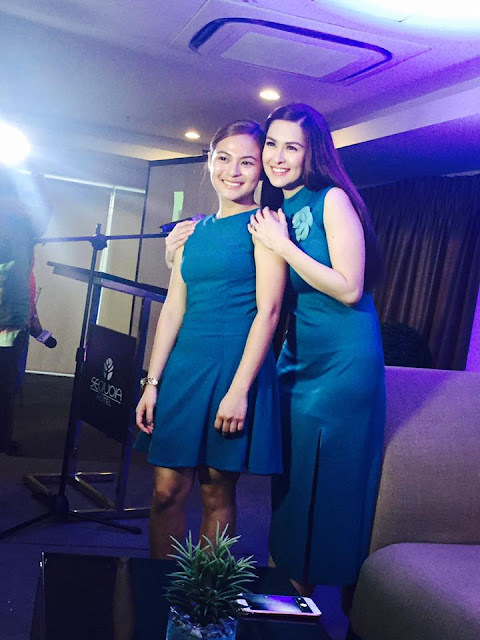 Maxi-Peel's TunaySerye aims to give Jeff a chance to regain her confidence back. And as an added inspiration for Jeff, Maxi-Peel has a special surprise for Jeff. 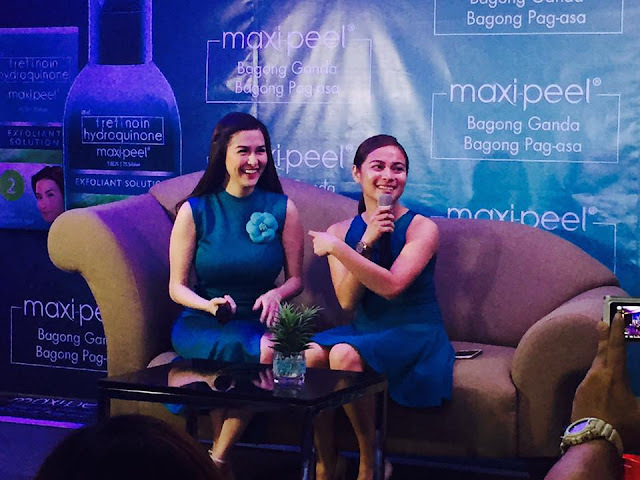 Thru Maxi-Peel, the lucky girl got to meet (and hug) her favorite celebrity inspiration who also happens to be a Maxi-Peel brand ambassador and long-time user of the brand. Jeff can't believe that her idol, Marian Rivera, is sitting right beside her.